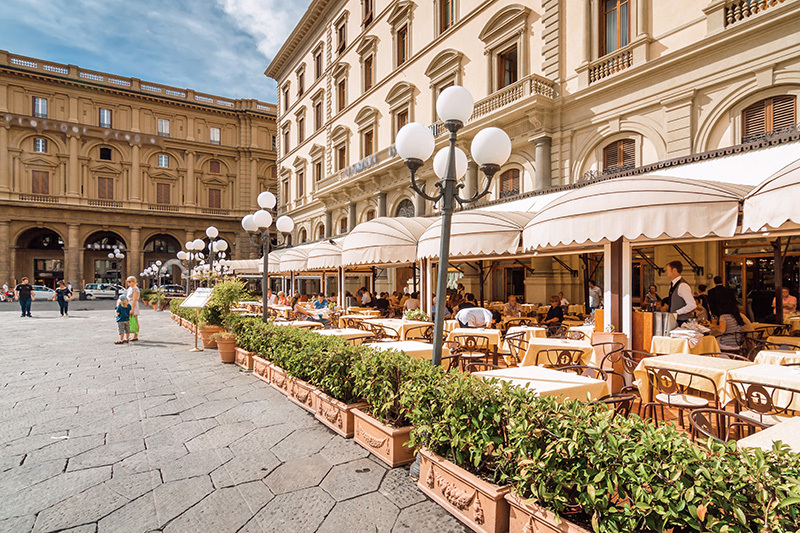 Florence’s architecture has invited a wide variety of styles, from the middle ages and the Renaissance period all the way up to modern times. This can be seen in commercial buildings as well as secular architecture throughout the city. 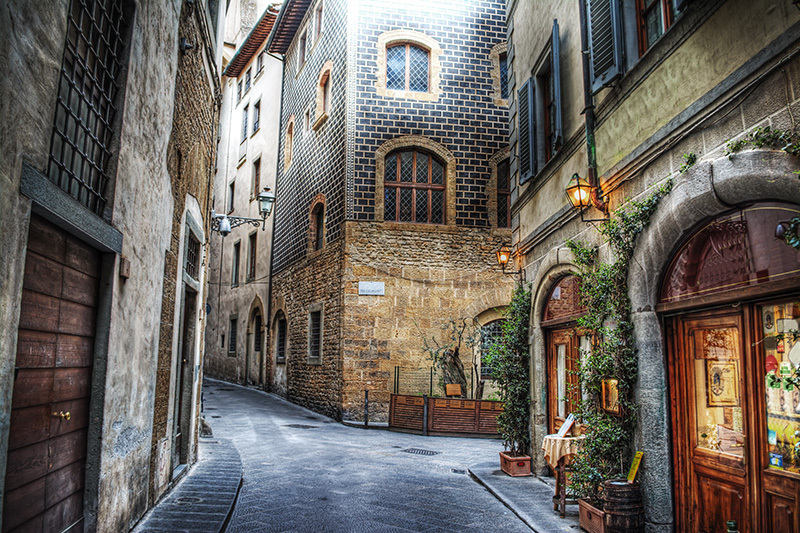 Some of the city’s most famous landmarks include its cathedrals and basilicas. 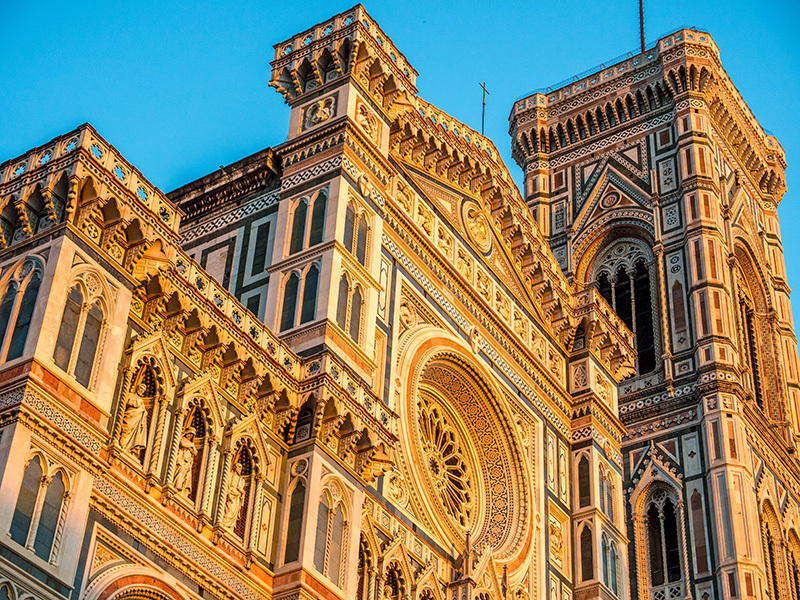 The Florence Cathedral at The Dumo and the Basilica of San Lorenzo are two such examples of these, dating back to the Renaissance period. More modern architecture can be seen in the Piazza della Republica. Once a Jewish grotto, this construction dates back to the late 1800’s and stands out as unique amongst a backdrop of gothic and Renaissance-styled architecture. While churches and architecture dominate the scene, beauty can be found in the most simple of locations. The food market at Mercato Centrale, for example, is a more modern 19th century building that includes an ornately decorated rooftop and modern interior.